Farmers should worry about how many individual wild bees they have pollinating their fields, not how many kinds of bees, according to new research. 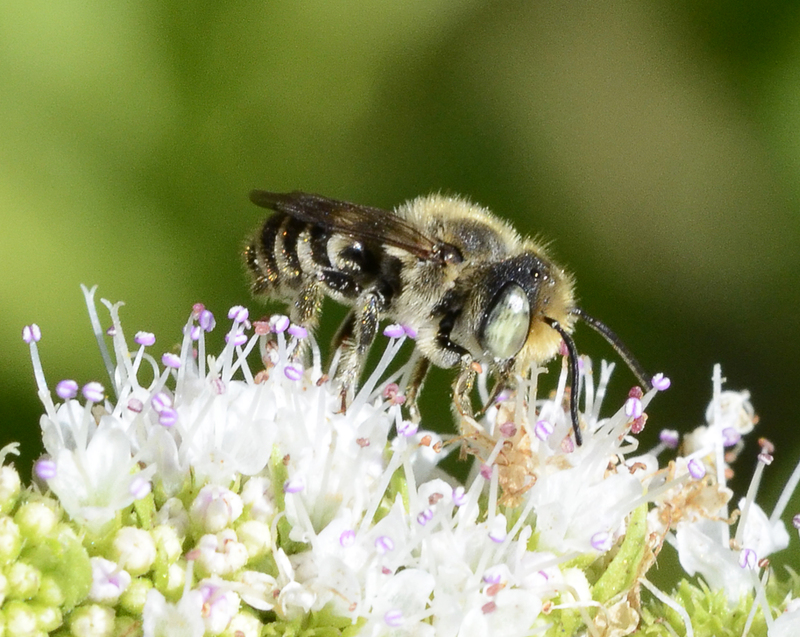 In their study of fruit plants in New Jersey, Pennsylvania, and California, ecologist Rachael Winfree and her coauthors find that the abundance of a few dominant species of wild bee is more important than the diversity of bee species pollinating crops. “This is not to say that biodiversity is unimportant—far from it,” says Winfree, an associate professor of ecology, evolution, and natural resources in the Rutgers School of Environmental and Biological Sciences. The recent problems facing European honeybees—the bees that farmers and beekeepers raise specifically to pollinate their crops—have been in the news in recent years, but wild, or “native” bees also are vital to pollination. Thousands of species of wild bees are responsible for pollinating about 80 percent of flowering plants around the world, according to Winfree’s earlier research, and are particularly vital to the plants Winfree and her coauthors studied. Wild bees perform 62 percent of watermelon pollination, 25 percent for cranberry, and 14 percent for blueberry. Winfree and her coauthors wanted to know whether it was more important to pollination to have many species of wild pollinators, which is what many laboratory and field experiments had indicated. Until recently, scientists lacked good analytical tools for understanding data from farms and ecosystems functioning as they naturally do, 24 hours a day, seven days a week. “The real world is noisy,” Winfree says. Coauthor Jeremy Fox, associate professor of ecology and evolutionary biology at the University of Calgary, found a way to sort through all the noise by applying a mathematical formula originally developed to describe genetic changes over time—the Price Equation. 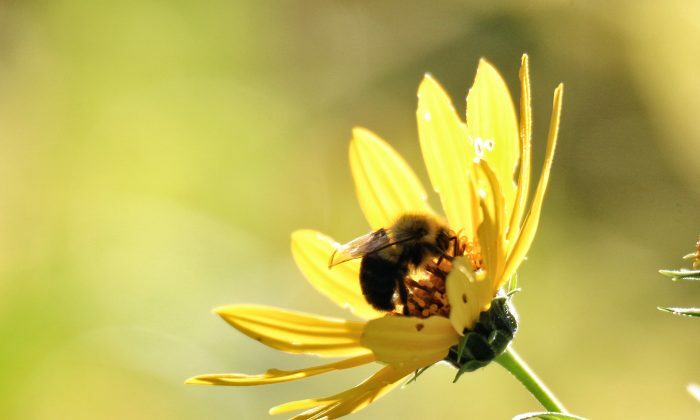 Applying it to the farms under study—some for two years, some for three—allowed Winfree, Fox, and their colleagues to see that having only a few species of wild pollinators didn’t hurt pollination, and having a lot of individual bees on the job helped a lot. Source: Rutgers. Republished from Futurity.org under Creative Commons License 4.0. Thousands of farmers, and their families hit the apple groves each season to do the work of the bees. Bees make more than honey. They also make gunk called propolis. And this "bee glue" is a powerful health balm. 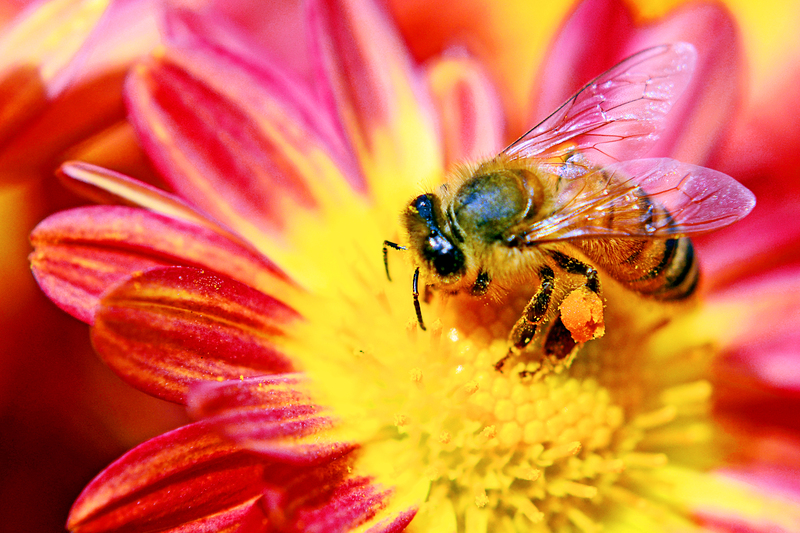 Researchers have also found a way to reduce the pesticides' damaging effects on wild bees.